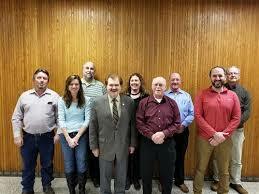 The school board is comprised of nine individuals who are elected to four year terms. The primary role of the school board is adopting and maintaining compliant board policies for the organization and operation of the school district. The specific responsibilities include overseeing the educational programs, personnel, and properties, determining curriculum, employing a superintendent, and approving a budget. Amy Stauffer Member 12/2021 Transportation, Technology, SUN Tech. Alternate Rep.
12/2021 Buildings & Grounds, Technology, SUN Tech. Rep.